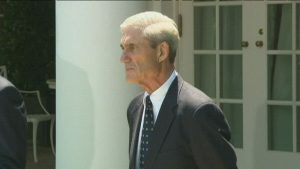 WASHINGTON, D.C. (NBC ) – The Justice Department said a redacted version of special counsel Robert Mueller’s report is expected to be made public on Thursday. Attorney General William Barr received the report from Mueller last month and Democrats have been demanding an unredacted version of the document, which is about 300 pages long. Those demands intensified in recent weeks after Barr released his four-page summary of the report. That summary was blasted as insufficient by Democrats. Barr has warned Congress he plans to make redactions in the coming release, including grand jury testimony and material related to ongoing investigations. The House Judiciary Committee voted to authorize a subpoena to see the fully unredacted report, but it hasn’t been issued yet.